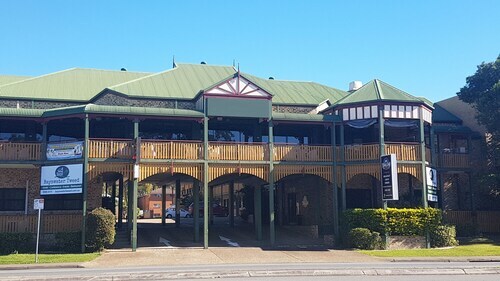 Located in the heart of Tweed Heads, this motel is within a 10-minute walk of The Tweed Hospital and Centro Tweed. Coolangatta Beach and Twin Towns Uniting Church are also within 1 mi (2 km). 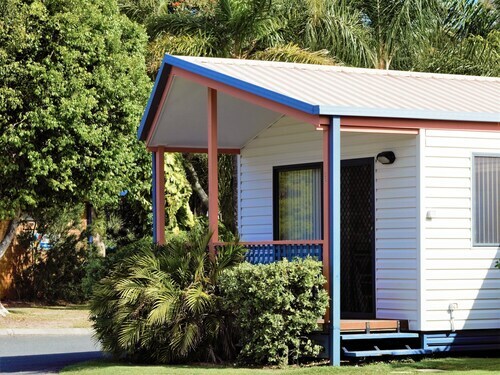 Situated near the airport, this campground is within 3 mi (5 km) of Seagulls Table Tennis, Kirra Beach, and Coolangatta Beach. Greenmount Beach and Snapper Rocks are also within 3 mi (5 km). 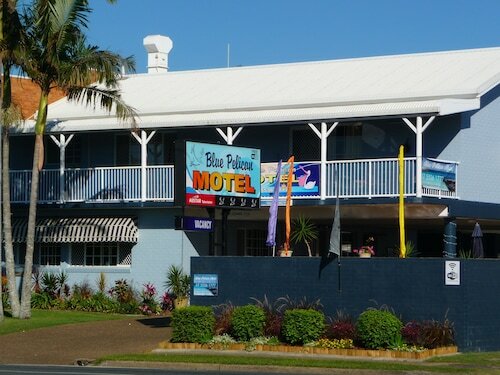 Situated in Tweed Heads, this motel is within 1 mi (2 km) of The Tweed Hospital, Coolangatta Beach, and Greenmount Beach. Kirra Beach and Snapper Rocks are also within 2 mi (3 km). 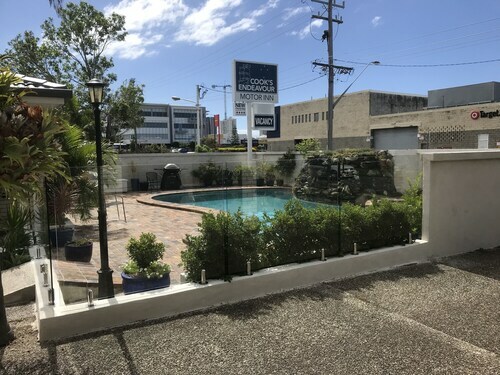 Situated in Tweed Heads South, this motel is 0.7 mi (1.2 km) from Tweed City and within 3 mi (5 km) of Coolangatta Beach and Kirra Beach. Greenmount Beach and Snapper Rocks are also within 3 mi (5 km). 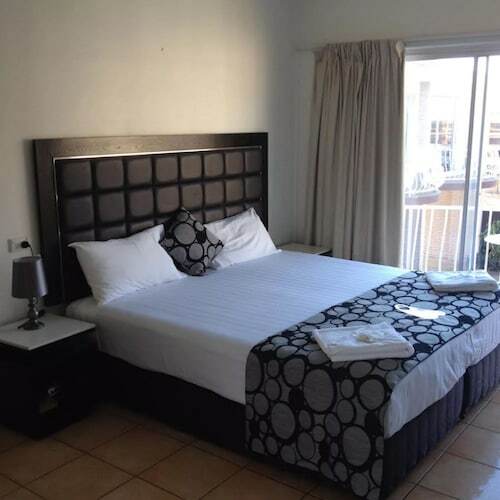 Situated near the airport, this motel is within 1 mi (2 km) of The Tweed Hospital, Coolangatta Beach, and Kirra Beach. Greenmount Beach and Snapper Rocks are also within 2 mi (3 km). Located in the heart of Tweed Heads, this motel is within a 15-minute walk of Centro Tweed and Coolangatta Beach. Kirra Beach and Greenmount Beach are also within 1 mi (2 km). 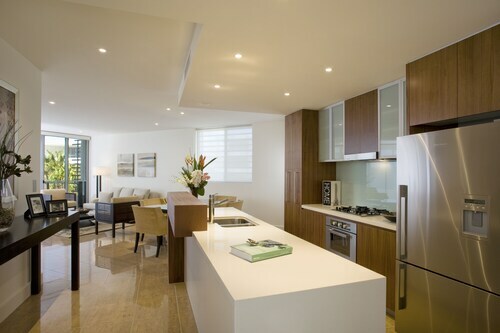 Offering direct access to the beach, this Casuarina apartment building is on the boardwalk, 5.8 mi (9.4 km) from Tropical Fruit World, and within 12 mi (20 km) of Fingal Lighthouse and Coolangatta and Tweed Heads Golf Club. 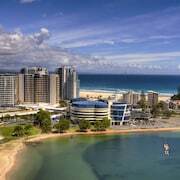 Close to the beautiful Gold Coast and twinned with Coolangatta, Tweed Heads is a great spot between the borders of Queensland and New South Wales. A major novelty is that you can find yourself in a different time zone simply by walking a few metres! With loads to keep everyone busy, it is a great place for a fun-filled vacation. 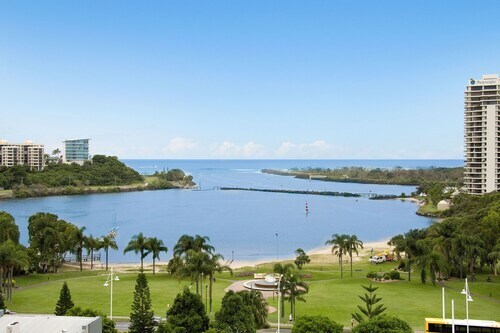 There is heaps of great Tweed Heads accommodation too, so come and experience the picture-perfect views, fantastic attractions, relaxed vibe and pleasant weather. John Oxley was the first European to visit the area in the 1820s, and he was completely blown away by the magnificent natural beauty. The scenery continues to impress visitors today, and Tweed Heads is known for being one of the prettiest places in the country. To learn about the area’s earlier history, check out the interesting Minjungbal Aboriginal Cultural Centre. Surfing is a major pastime in Tweed Heads, and even if you’re not into the sport yourself, you can have lots of fun watching others take to the waves. The sandy beaches are ideal for sun-worshippers and the ocean is great for a swim. You can even explore the watery depths with some scuba diving. The Tweed River offers even more fun on the water and a river boat cruise is a lovely way to pass a few leisurely hours. Enjoy the gorgeous sweeping views from Point Danger – look out for dolphins and whales in the sea. It is also a lovely place for a picnic. The surrounding mountains and national parks are home to a variety of flora and fauna and offer terrific opportunities for hiking; Mount Warning, Mount Cougal, Lamington National Park, and the Border Ranges are particular favourites. Tropical Fruit World offers fun for all the family, and you can see the Big Avocado looming large outside. Other attractions include the nearby Fingal Lighthouse and Fingal Head. 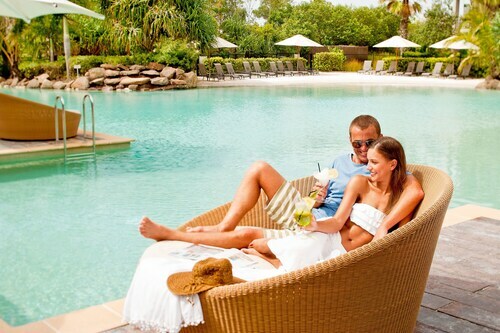 Tweed Heads has a good shopping scene and there are heaps of places to enjoy a great meal. The local nightlife is lively and exciting. Book a flight to the Gold Coast and a Tweed Heads hotel for a varied and diverse break in the heart of some splendid natural scenery. How Much is a Hotel Room in Tweed Heads? 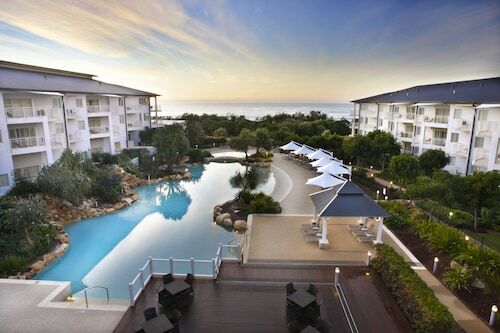 Hotels in Tweed Heads start at AU$80 per night. Prices and availability subject to change. Additional terms may apply. Such a clean and tidy property, we loved our stay even if it was just one night. We really enjoyed our stay. The size of the unit was great. Good position & quite tidy. Fridge did not work well, did not keep food very cold even when we turned it down.